Fans piled in to Thursday night screenings, and brought costumes and spirit with them. Black Panther officially launched on Thursday evening, and the unprecedented hype for Ryan Coogler's superhero film translated into Marvel's second biggest preview screening run. The public's excitement for the film was all over social media last night, and it went to some creative, inspiring, and hilarious places. Check out some highlights below. Like any proper fandom, there was a lot of dressing up for the movie's premiere. But Black Panther's fans went outside the movie's universe and into fashions from the real world, as well as other films (characters from Coming To America popped up frequently). 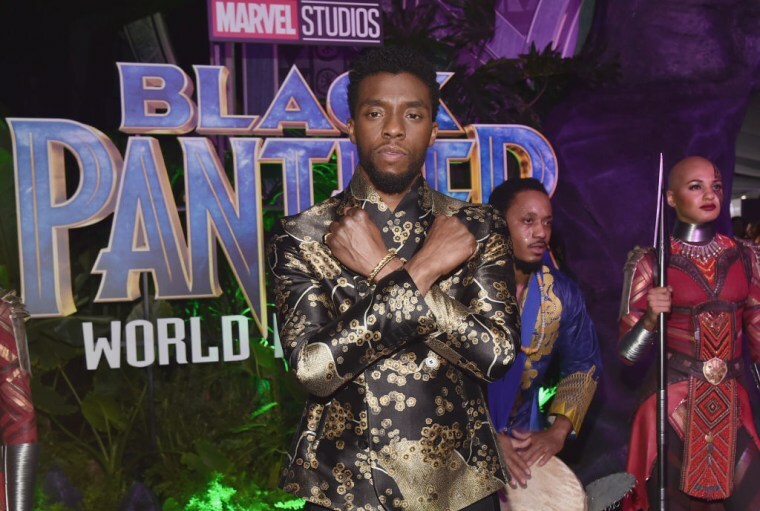 The fashion took off with its own hashtag #WakandaForever. Not feeling the energy? You might just be a hater.